This spring, I've been shooting and converting much of my iPhone 6+ photographs with MPro a dedicated BW iPhone app, and Filmborn, which is developed by Mastin Labs here in Seattle, Wash. Kirk Mastin is the Founder and Ceo; he's a lover of photography and film, and you can feel and see his passion. Head over to its webpage or read though the Apple App Store reviews to get a sense of what the Filmborn app can do. I love the customization and its fidelity to film emulation via choices with Fuji, Ilford and Kodak. You won't find blown out highlights, crazy grunge effects, or highly stylized tones/colors/hues--just clean, beautiful simulaiton of film. What's here is the look and feel of film that works. I'm a stickler for a particular black and white look, which is contrasty and inky. I love the Fuji bw choices. Check both these apps out and let me know what you think. Here's another sample on my flickr stream. Photo Credit: Star Rush, Georgetown in Seattle, with Ricoh GXR. I had the honor of hearing President Obama speak at a fundraiser for Governor Jay Inslee in Seattle on June 24, 2016. I took this photograph standing not too far from the stage, using my Fuji XPro1 and vintage Super Takumar 4:200. President Bill Clinton in Seattle, 2012. I recently visited Austin, Tx, for the first time over the Memorial Day weekend. It's a terrific city for photography and photo walks. From architecture, to old signs, people--there was plenty to observe and frame. Here is a shot of one of the clubs on famed 6th Street, where you can see all the live music that'll make your heart sing. Cheers, Austin! After a year, I'm still in love with my XPro1 and collection of legacy lenses. Here's a good standby Minolta/Rikkor. Photo Credit: Soho in Austin, Texas. Fuji XPro 1, Rokkor 55:1.7. Photo credit: Star Rush in Seattle on October 9, 2015. On Oct 9, President Obama was the guest of honor at the fundraiser for Senator Patty Murray held at the Westin Hotel in Seattle, WA. Additional photographs are here via my flickr site. 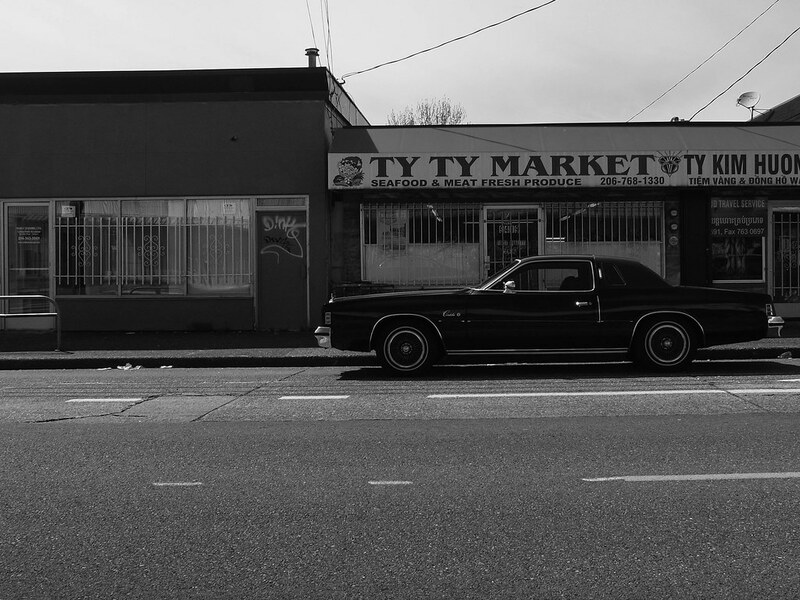 Photo credit: "Roxbury," in Seattle, 2014. Ricoh GXR 28mm.